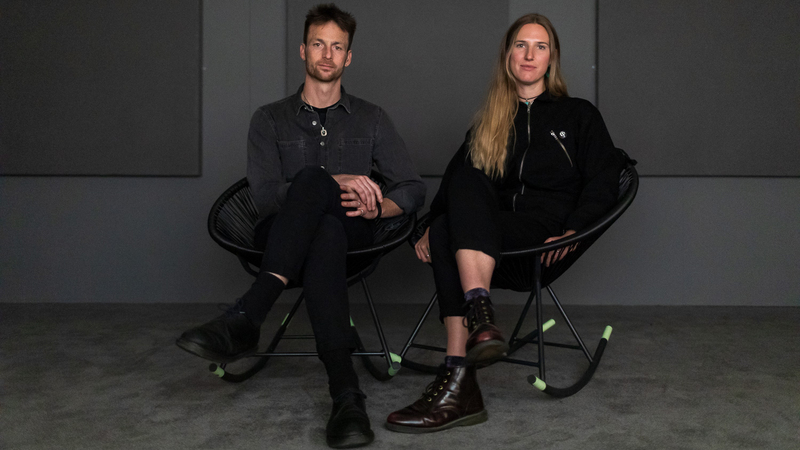 Writer Emily LaBarge is in conversation with artist-duo Webb-Ellis, discussing For The First Baby Born in Space, commissioned for Jerwood/FVU Awards 2019: Going, Gone. Caitlin and Andrew Webb-Ellis live and work across Britain and Europe. Webb-Ellis have been working together since their time at Arts University in Bournemouth, both graduating with a BA in Photography in 2012. Recent presentations include Whitstable Biennale (2018); Inheritors, Siobhan Davies Dance, London (2018); Video Jam, Manchester (2017); Slant, For the Unsettling, Jerwood Space, London (2017); Aesthetica Art Prize 2017, York Art Gallery (2017); Alchemy Film and Moving Image Festival, Hawick (2017); Visions in the Nunnery, Bow Arts, London (2016); Estuary Festival, Tilbury Cruise Terminal (2016). Webb-Ellis are currently presenting We chose the earth project funded by the Paul Hamlyn Foundation at Whitstable Biennale until June (2020).